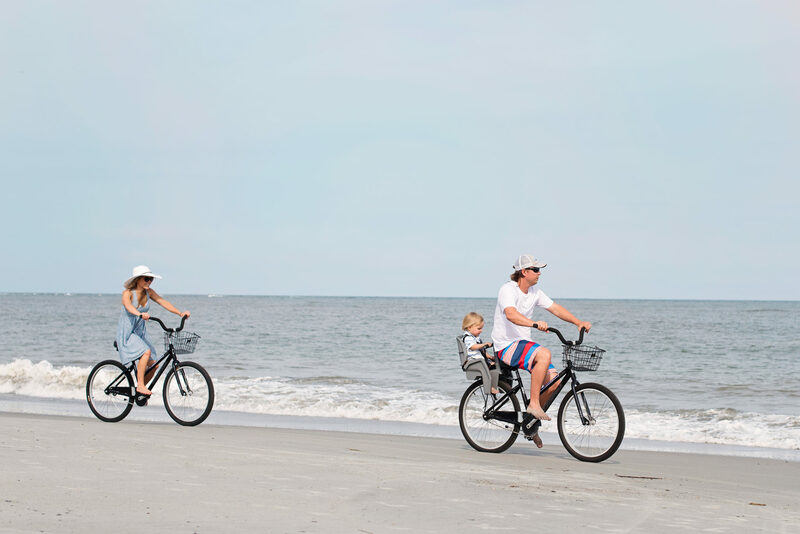 IOP Beach Chair Company is a family owned and operated team. We are so lucky to call Isle of Palms our home. We take great pride in our beach and island in IOP. We ask that you help us follow some rules we have to preserve our beach and make Isle of Palms a place we can enjoy for many years to come. We co-founded the Isle of Palms Cleanup Crew and support the #StrawlessSummer and the movement toward less plastic consumption. Help us keep our oceans clean and Earth healthy by leaving only your footprints. 1. Pick up your trash. Leave only your footprints in the sand. 2. Fill in your holes on the beach. They can be hazards for beach walkers. 3. Pick up after your pets. We want them to be able to continue to play on Isle of Palms. 1. Walk on the dunes. They protect the beach from erosion. 2.Bring glass on the beach. Our kids build sand castles here. 3.Disturb sea turtle nests. They are our endangered neighbors. Thank you for helping us keep our beach clean, safe and respected. Reduce your waste. Most chairs and umbrellas for sale at stores are made of plastic and inexpensive metal and do not last long. The umbrellas sold at stores are unable to withstand the high winds of our coast on Isle of Palms, rendering them “single-use”. Our rentals chairs are made in the USA from solid oak and our umbrellas are wood and marine-grade canvas. We are able to reuse our products over and over. We are so happy to be part of your beach experience because we know you’ll cherish the moments you spend here- just like we do.